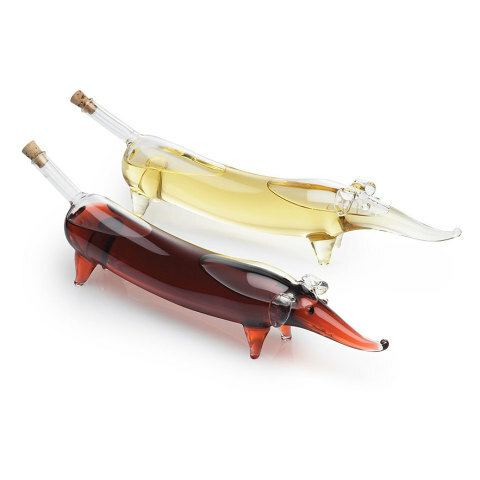 The standard old cruet sets of the past have been updated for the 21st century with these stylish glass dachshunds. These cute dogs are handmade of borosilicate glass and loaded with all the cuteness of the popular dog breed. Each perky pup is ready for you to fill with your favorite choices of oil and vinegar. The condiments pour from the dogs' tails. Spillage is kept to a minimum since the dogs come with corks for their tails and a funnel to help with filling them up. Hand wash only. 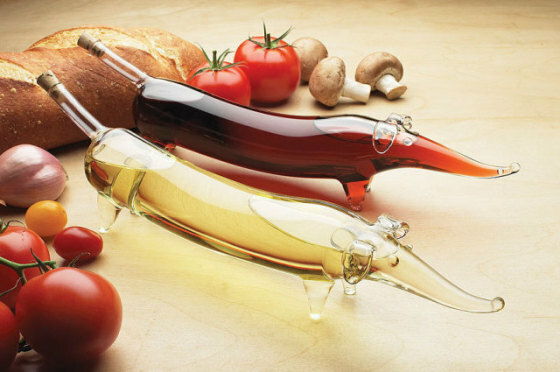 Oil and Vinegar Set, click here.